There are many reasons why people lunge their horses, but I have noticed two benefits that I will be sharing today! Taz has been having some separation anxiety from the barn lately, and we are working on lunging him to safely correct that. He doesn’t have the strongest ground manners, so we are taking baby steps by starting indoors before heading out to the field. It’s been a week and we’re already seeing improvements! If your horse is like Taz and needs to build up his top line, then lunging is a great exercise. It incorporate their back muscles, utilizing their hind quarters and refining their natural rhythm. As another exercise you can always add trot poles or raised trot poles! Due to the lack of his top line, his transitions are not as smooth as they should be. Taz and I practice all sorts of transitions to help him. I mentioned in a previous post that lunging can strengthen your bond and build a relationship through trust. To build a solid foundation, you need the fundamentals aka ground manners and trust. 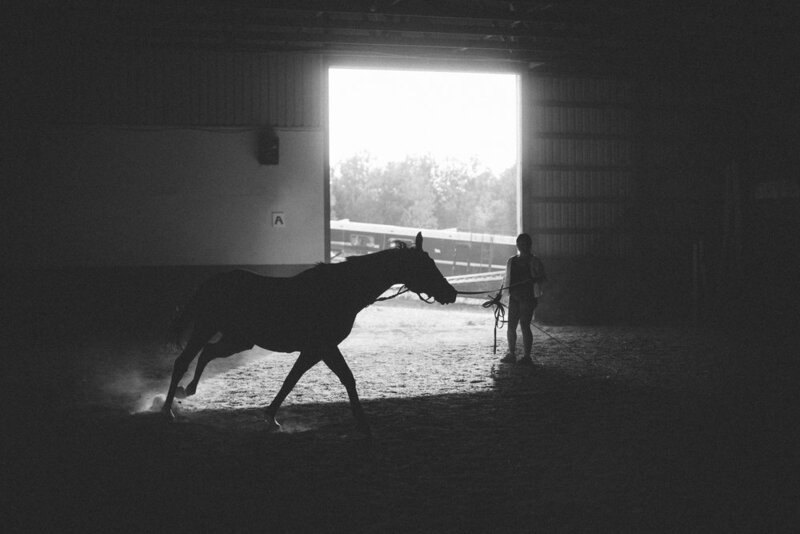 Lunging allows you to teach your body language to your horse and connect to your voice commands. I also wanted to state that Taz is a super lazy guy and sometimes my voice commands aren’t compelling enough for him. When we is being super lazy, I use a crop as a reminder for him- I don’t usually have to use it though. Have fun and just remember not to overwork your little fur baby!